Perched part way down the beautiful Fermain Valley the hotel is perfectly positioned to offer guests the very best of Guernsey. 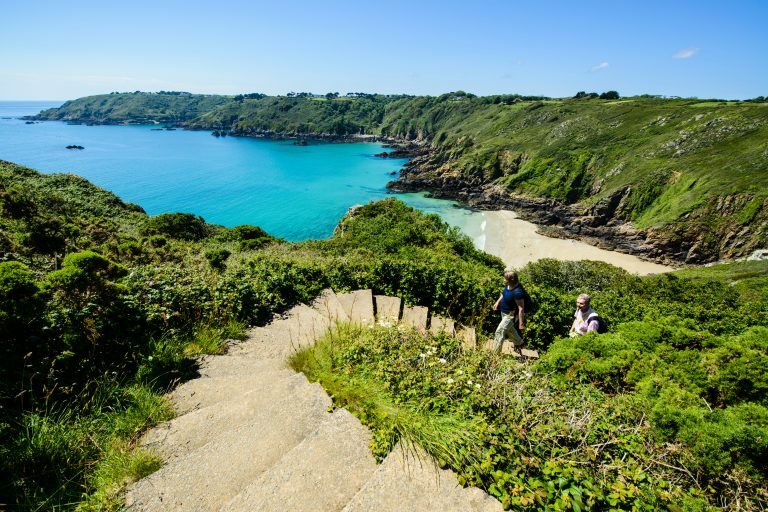 The East coast of Guernsey is characterized by stunning cliffs and secluded bays. 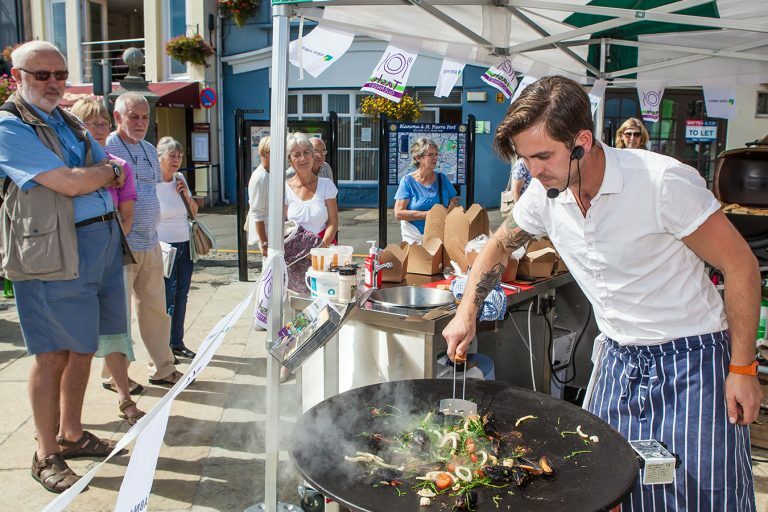 Fermain Valley is no exception, yet it’s only a five-minute drive to Guernsey’s vibrant capital St Peter Port, with its many shops and restaurants. Fermain Valley is a lush green valley that leads down to the stunning Fermain Bay. The steep-sided valley is peaceful and traffic on the single road down to the bay is restricted to authorized vehicles only ensuring that the tucked-away pebble beach remains quiet and uncrowded throughout the year. In keeping with the tranquil nature of the area, facilities at the bay are limited to toilets and a small beach café. The walk between the beach and the hotel is breathtaking – in both scenery as well as physically, thanks to the steep incline on the way back up to the hotel. It’s a stunning walk and well worth the effort and a great way to burn off any holiday over indulgences! The hotel is also located right on the network of Guernsey’s infamous cliff paths. The beautiful paths wind around the island’s coastline and offer a great way to explore the island on foot. The paths can be uneven so suitable footwear is recommended. 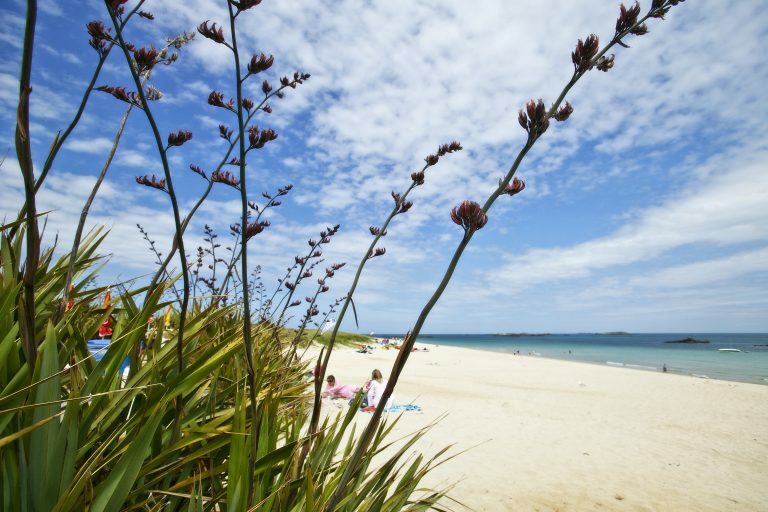 The hotel’s elevated position means guests are treated to a stunning view out to sea encompassing the neighboring islands of Herm, Sark and Jersey, and even France on a clear day. The terrace outside our Ocean Restaurant is the perfect place to watch the boats below bobbing from one island to another. It’s also a great vantage point for watching the ferries and cruise ships weave their way between the islands into St Peter Port harbour. The airport is a 15-minute drive away. Planes do fly over the hotel on their approach to the airport. Such is the nature of our small island that most of Guernsey is covered by some part of the flight path. The planes are small and there are no flights overnight. 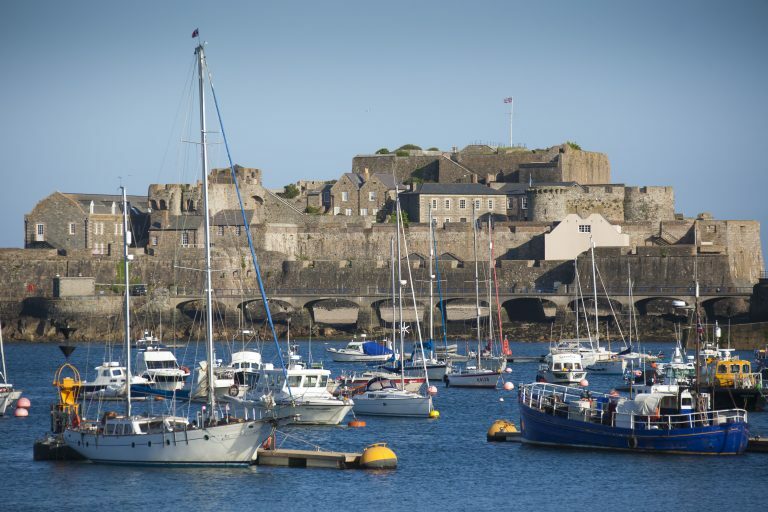 For a small island Guernsey really packs a punch when it comes to the number and variety of attractions it has to offer. 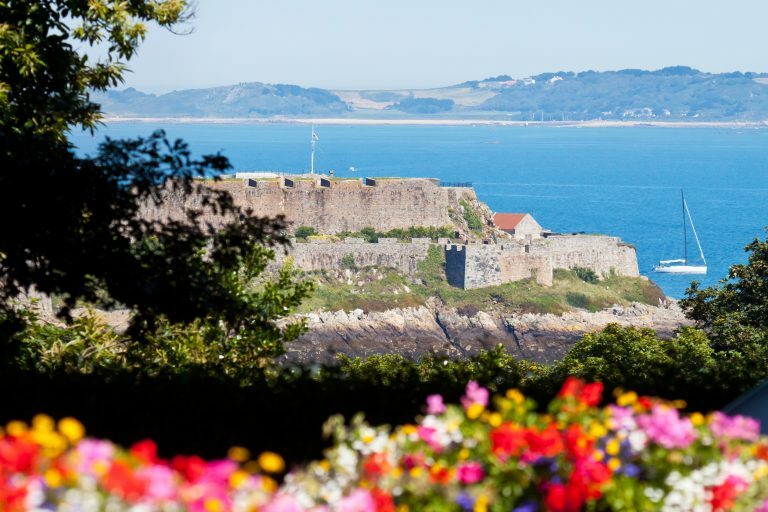 Castles, museums, historical houses, parks and chapels are all options for your ‘to do’ list while in Guernsey.